Items 43- out of displayed. Oil prices were very volatile yesterday after after US President Trump abandoned a nuclear deal with Iran and announced the "highest level" of sanctions against the OPEC member. We have seen a spike lower but the most important was then a daily close which was back in green. Technically this is very important bullish evidence so ti appears that more upside can be coming on oil, possibly within an ending diagonal while market is above 67.60. 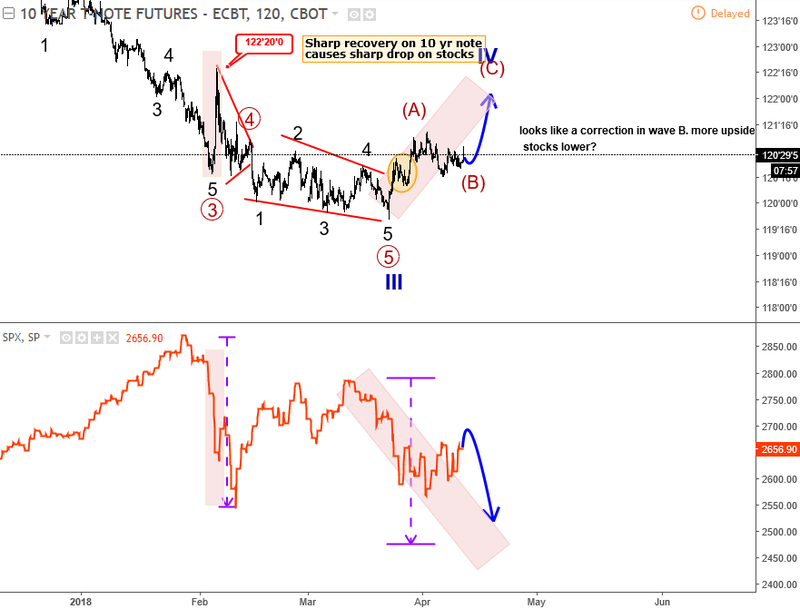 But despite bullish continuation there may not be a lot of opportunities to the upside at this stage as bigger EW cycles can be slowly coming to an end based on daily and four chart. E-mini S&P500 is turning down from some interesting short-term Fib. levels. Will sell-off continue and JPY move higher? 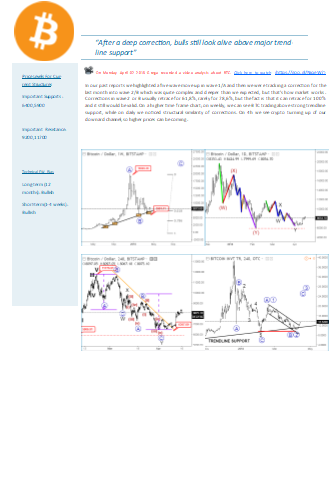 Traders, welcome to our new latest cryptocurrency report. We have seen a deep pullbacks on crypto markets in the last few months. Some of them declined more than 80% from their 2017 highs, and hit some very interesting levels, so we are wondering if a new cylce is coming. Sign up to our email list here and get this report straight into your email box!! 10 year US note bounced from the lows in the last two weeks while stocks accelerated to the downside, ideally within wave C which may not be over yet based on recent developments which suggests that ounce from start of April is corrective. In fact, here is also a slow price structure at the moment on 10 year, above 120'10 that looks like a wave (B) of an ongoing 3-leg recovery up to 122'00. If that is correct then stocks may see more downside, into 2500 area on S&P500 where wave C would be equal to wave A in distance. Also tensions between US and Russia are definitely not supportive for stocks either. On Friday I posted a new video analysis, talked about EUR vs CAD based on recent developments on EURUSD, USDCAD, and Crude Oil. I came out with a conclusion that bounce can be seen on EURCAD which can be even impulsive so it can take us much higher in days ahead. 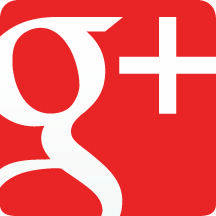 Our Services Subscribe to our newsletter NEW! !Elliott Wave School + FREE 3 Month FX Membership!! 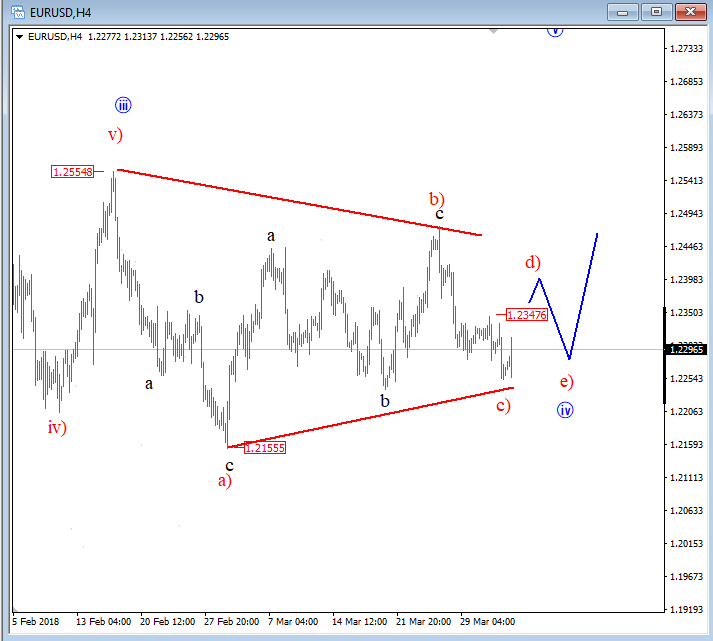 On EURUSD we see slow price action for the last two months, a complex pattern which we think it's a corrective one as part of one uptrend.The reason are three legs in first wave down to 1.2155 and then up into March high. We labeled those as waves a) and b) that can belong to a triangle formation. Of-course there are different counts possible at this stage but we think contracting formation can be the best pick, especially if pair breaks above 1.2347 swing as we would then look for a move to the upper side of a range.. If from any reason price will continue towards 1.2155 then flat is also a valid option. In the last week or so I have been watching and tracking some long-term charts of a stock market, since I think we really have to look back sometimes and be aware of a higher degree pattern and trend, rather than remained trapped in short-term cycles. With that said, I picked up the historical chart of S&P500 and found some interesting price and time developments that can come all together and maybe play an important role in the next 3 or 4 years. What I am looking at below is a line chart data of S&P500 since 1929 (you can find them at http://www.macrotrends.net/). What will you notice is that there are ups and downs right? After each correction there is a breakout and after each impulse there is a correction which makes a healthy market. So if you are a long-term investors, you really think its worth to take a risk here if we consider that there can be a 30% pullback based on past swing readings? Remember market needs to breath so I personally think it may slow down in upcoming years. 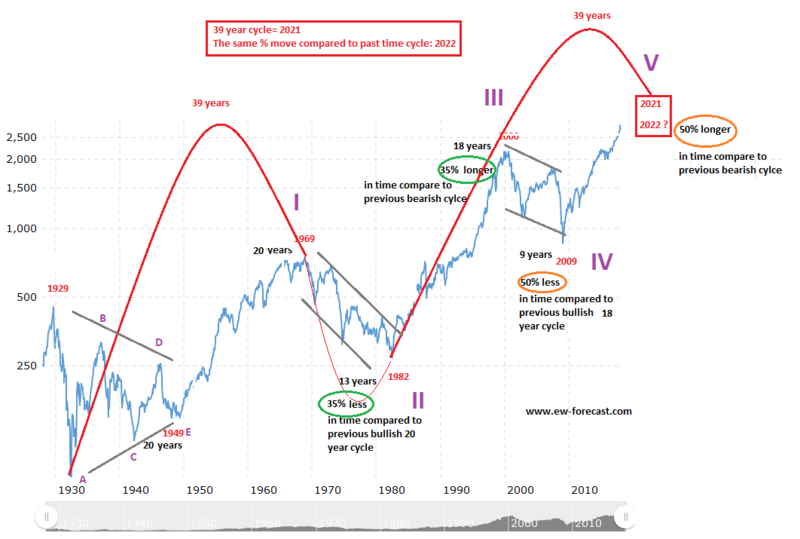 But based on 39 year cycle that you can see on the chart, there is a time projection for 2021, while percentage of current advance compared to past cycles (circled % on the chart) suggests that market can be now in 50% longer bullish time period compare to recent 9 year correction. With that math I came out with important year of 2022. But that’s not all. There is also a five wave rise up since 1949, when market completed a triangle consolidation. And what we know is that after each five waves market slows down, which can be 3 or 4 years from now based on cycle analysis. With that said, there is still a few years left for more upside which once again makes perfect sense since we see current pullbacks from February highs as a corrective movement on several major global indices.